In the hectic, media crazy, 24/7 news reporting world we now live in, it is very hard for goofs and gaffes to go unnoticed. Spinning someones dirty laundry is big business in the media today. Political mishaps usually soar to the top of the news world. Watergate, Jimmy Carter giving away Panama Canal, Bush 41 puking on the Japanese – you get the picture. In the liberal world of “Everyone is a winner and must get a ribbon” I started wondering why in blazes hadn’t the libs come up with something to ease the faux pauxes of everyday living. I mean, if you really screw up -I mean royally screw up, shouldn’t there be someone to there to wipe the tears and give an award for effort? Then I remembered the Golden Crowbar Award…. 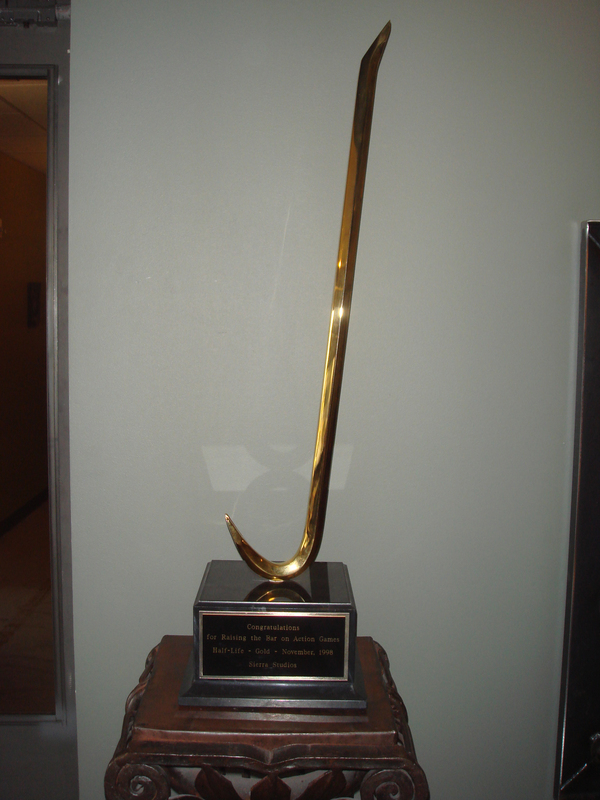 The Golden Crowbar Award was invented by Waco Tea Party Activist Toby Marie Walker for some of the decisions coming from then Congressional District 17 Representative Chet Edwards for some of the less than wonderful votes Chet was making at the time. It was felt that Chet had his head, shall we say, rectally inserted and needed a crowbar to get it out. Thus the Golden Crowbar Award was invented. So the question is now, should this be a weekly award? Monthly? Tough to say. The reason I bring it up is that Barry O had one of the best Golden Crowbar Award moments known in political history this past week. When Iran figured out a way to trick our own spy drone to land completely intact, rather than have an airstrike ordered to destroy it (or even the threat of one), the Enlightened One thought his Muslim brothers would simply comply with his polite request to return the plane. Well, wasn’t that special! Of course, the laughter was so loud coming out of Iran that the sound waves were breaking windows all the way to the Mediterranean Sea. Word has it this time, a few of the Mullahs actually passed out from laughing so hard. So this week/month/year/century’s winner of the Golden Crowbar Award is none other than Barack H Obama. Better use it soon – it is apparent that the air is a bit thin in your heads current position.